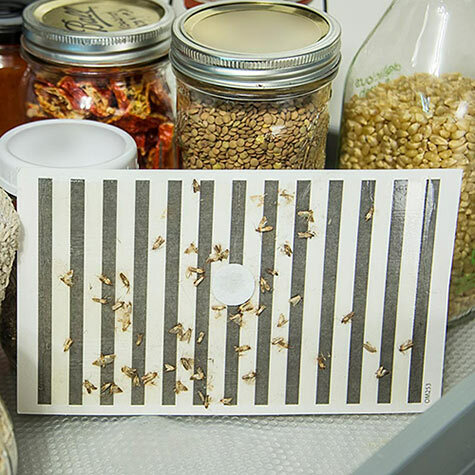 Want to put a stop to moths in your flour, grains, cereal, dog food and rice? Our easy-to-use Cupboard Moth Traps are non-toxic and free of pesticides. They attract moths with powerful pheromones, as well as a black-and-white printed pattern—and catch them on a large, sticky surface. Place these traps in cupboards and pantries. The lures last for 12 weeks, after which they can be replaced. Traps catch Indian meal moths, Mediterranean flour moths, almond moths and tobacco moths. The flat cardboard trap measures 8¾ in. by 5¼ in.